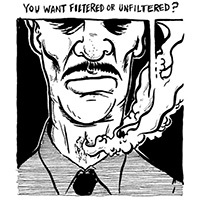 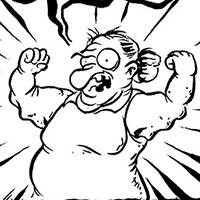 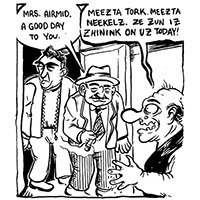 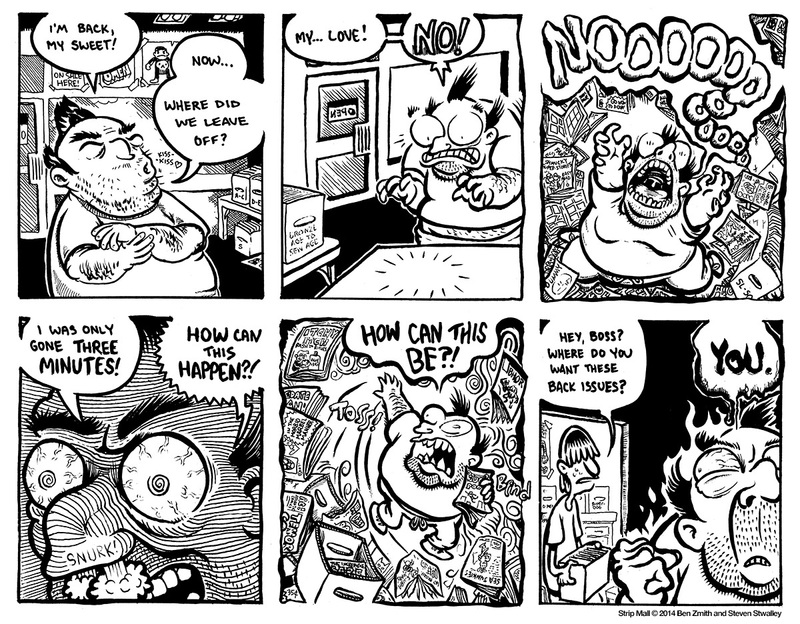 Click the below thumbnails to see the full strips. 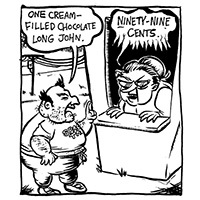 Strip Mall, Strip #1: Visit Our Shops Today. 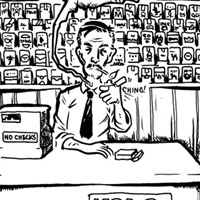 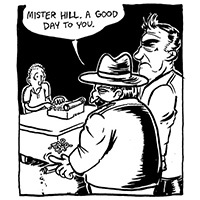 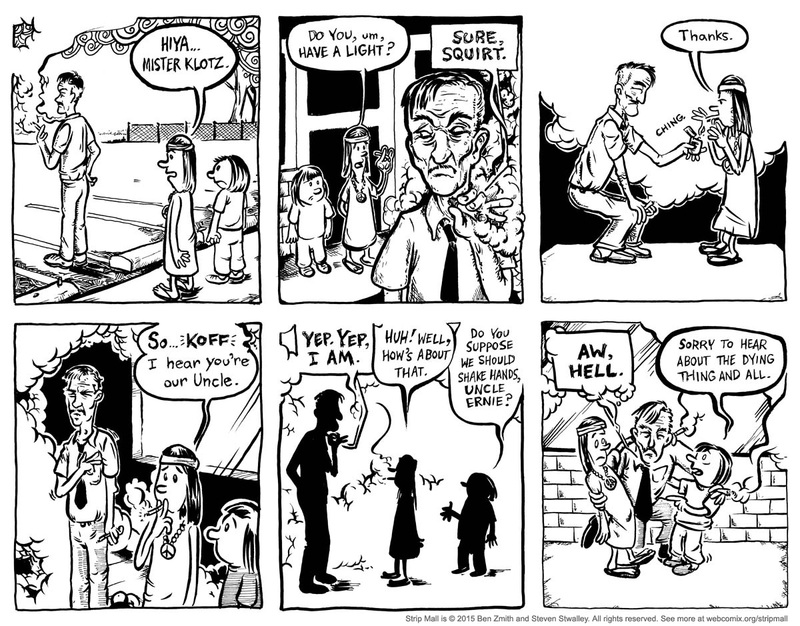 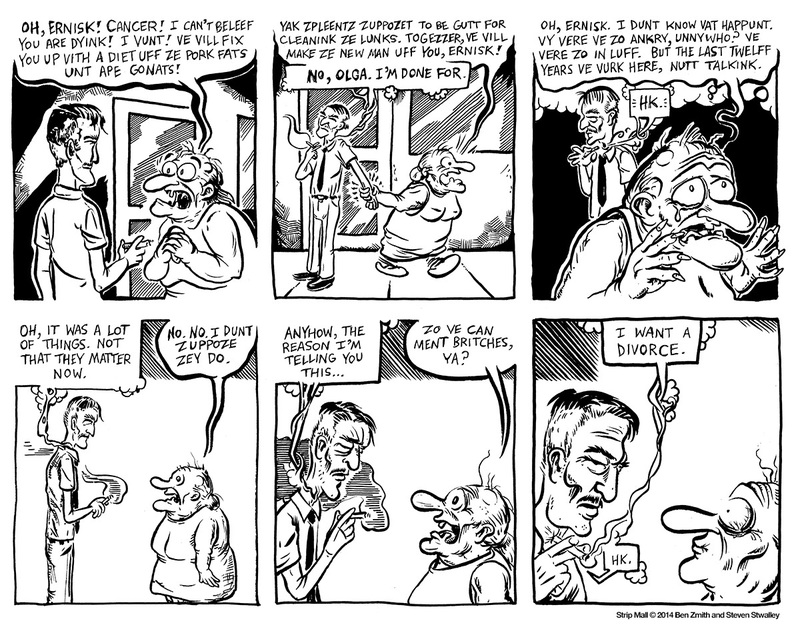 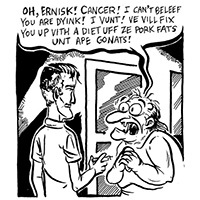 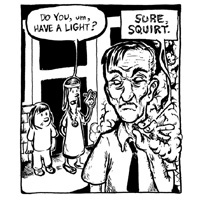 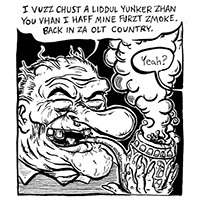 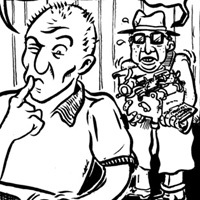 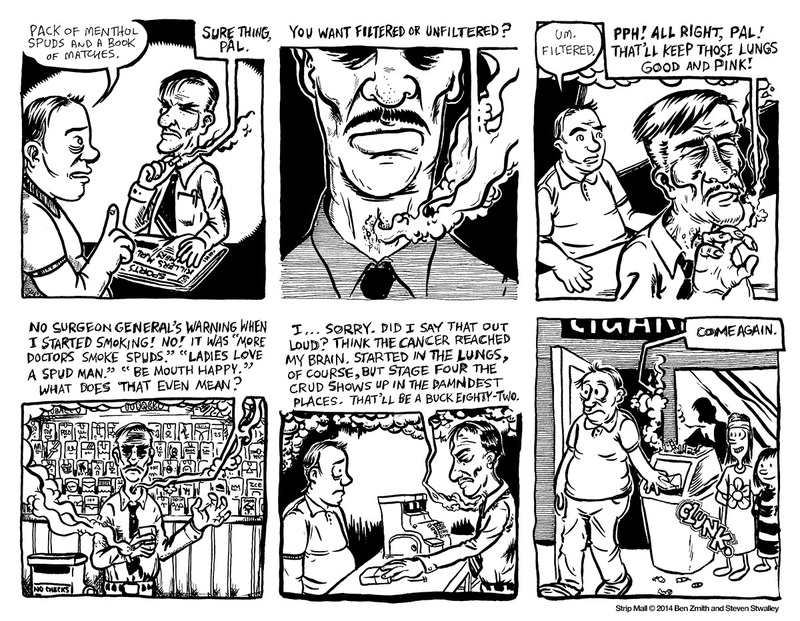 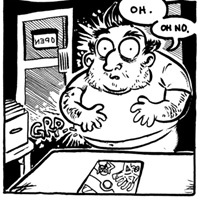 Strip Mall, Strip #2: Ernie’s Smoke Shop. 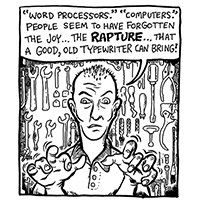 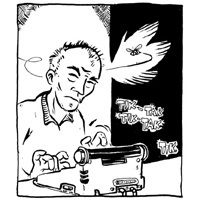 Strip Mall, Strip #3: Typewriter Repair. 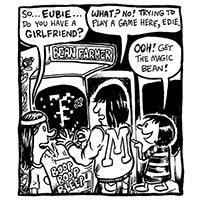 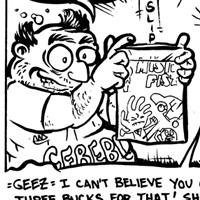 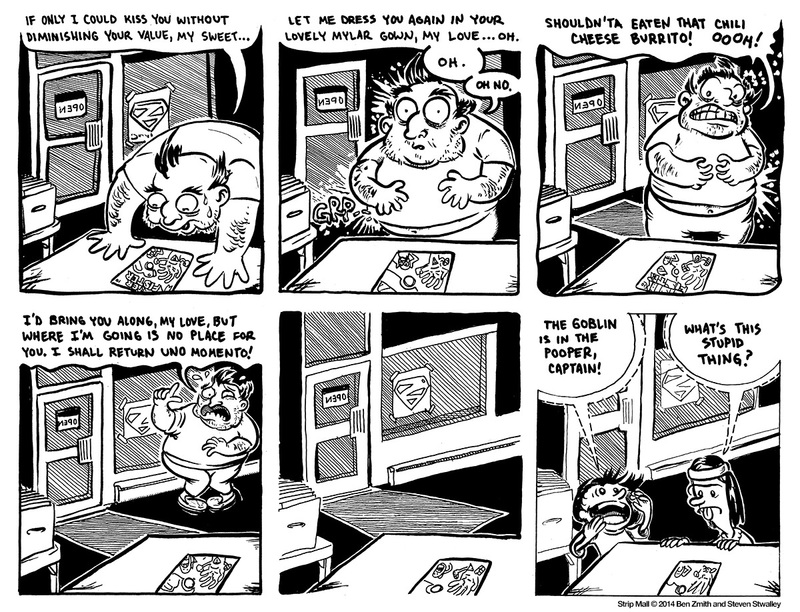 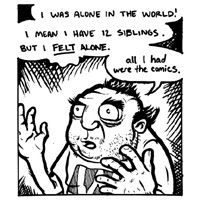 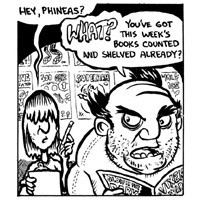 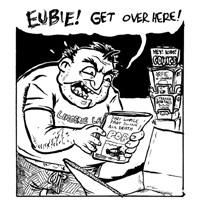 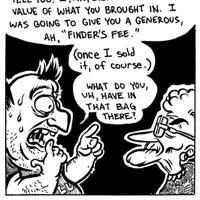 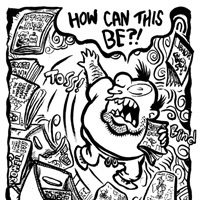 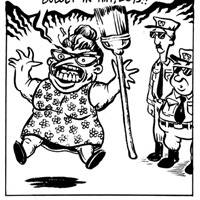 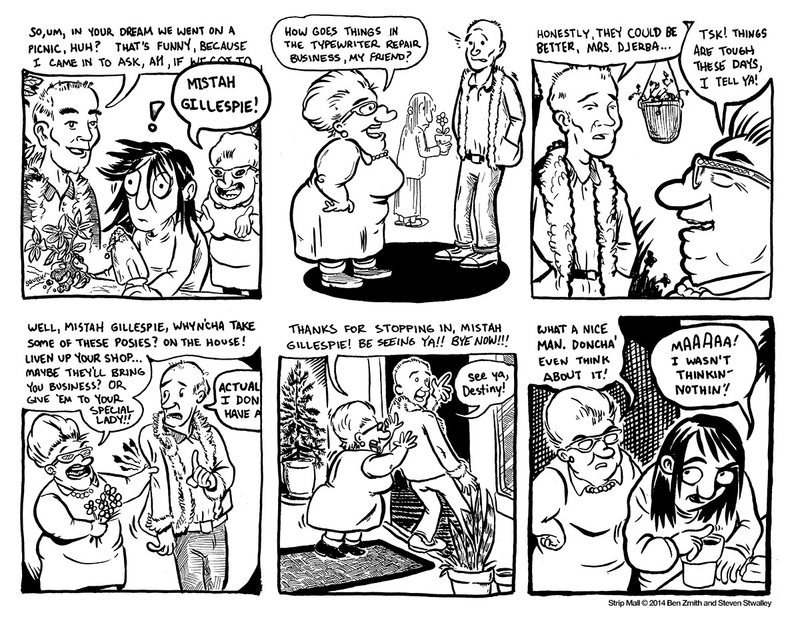 Strip Mall, Strip #4: The Goblin’s Lair Comics and Collectables. 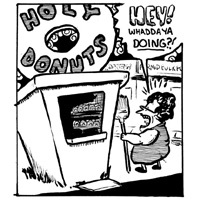 Strip Mall, Strip #5: Holy Donuts. 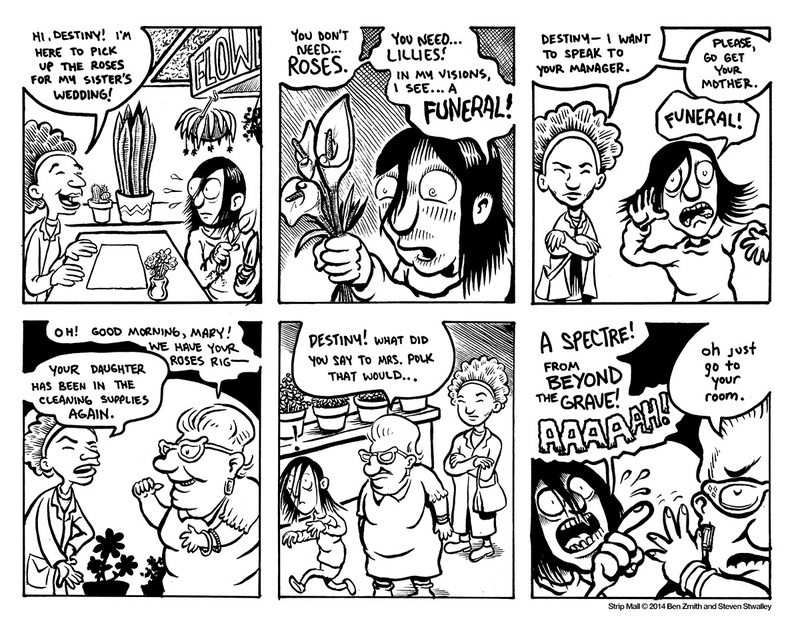 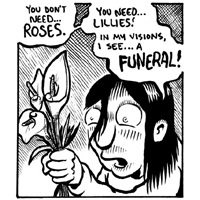 Strip Mall, Strip #6: Djerba’s Flowers. 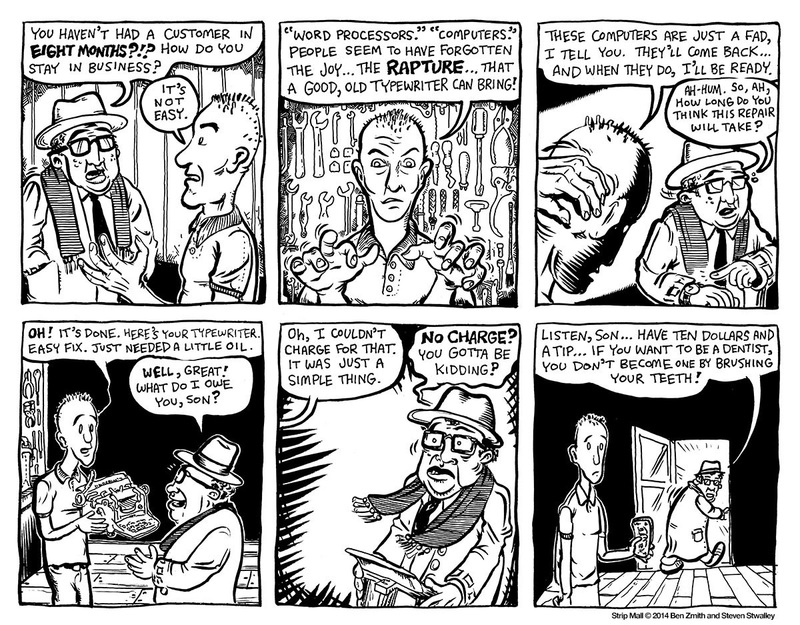 Strip Mall, Strip #7: Mission Improbable. 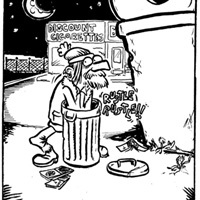 Strip Mall, Strip #8: What’s Wrong With This Picture? 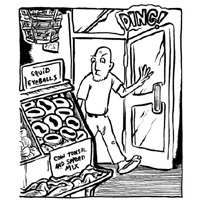 Strip Mall, Strip #9: Donut to Others. 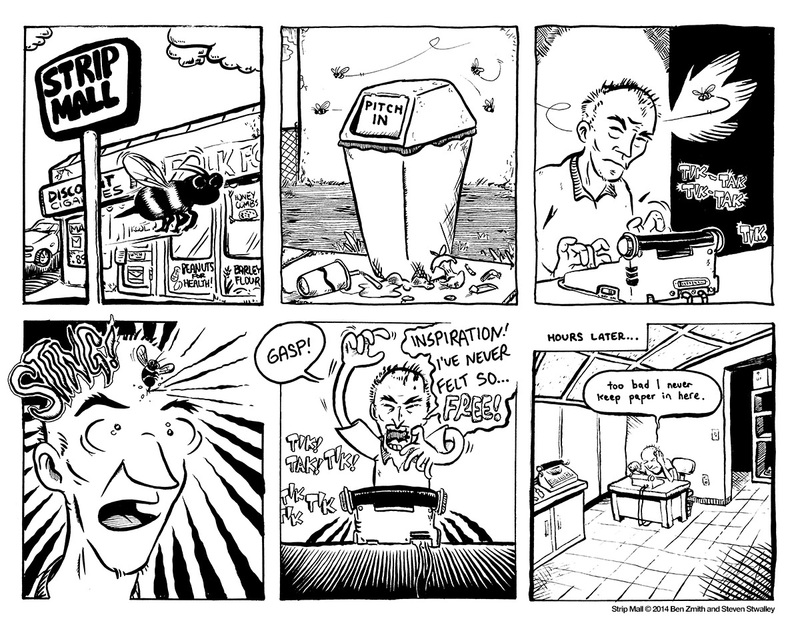 Strip Mall, Strip #10: In Dreams. 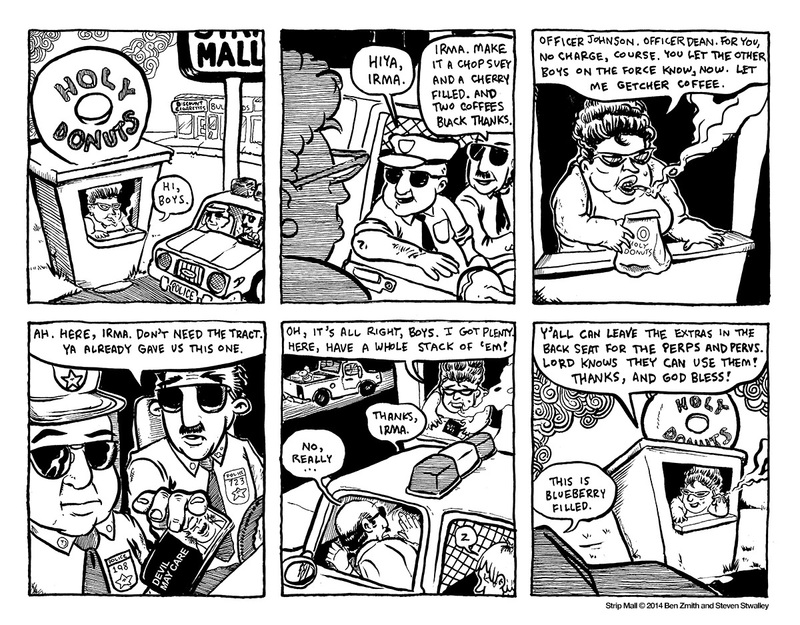 Strip Mall, Strip #11: Putting on the Kibosh. 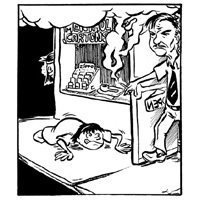 Strip Mall, Strip #12: The Raise. 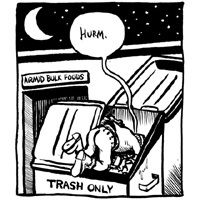 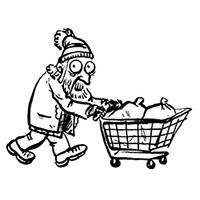 Strip Mall, Strip #13: The Dumpster Behind Airmid’s Bulk Foods. 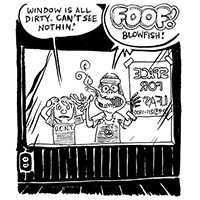 Strip Mall, Strip #14: Curtains Lifted. 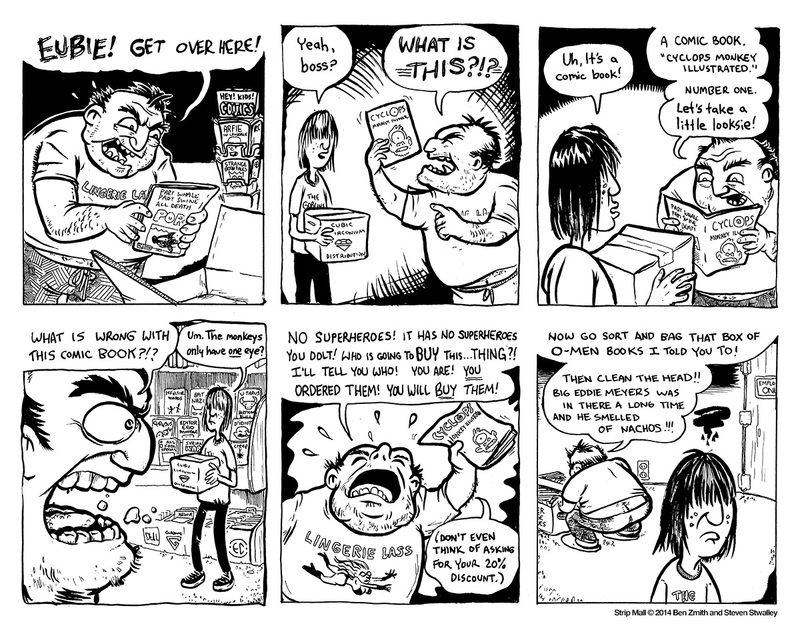 Strip Mall, Strip #15: Airmid’s Bulk Foods. 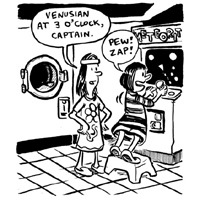 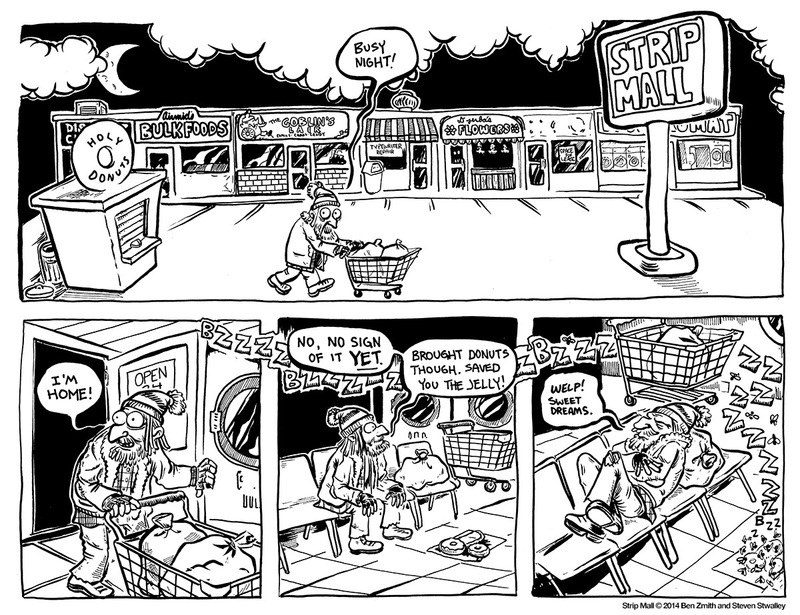 Strip Mall, Strip #16: The Laundromat. 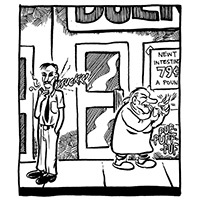 Strip Mall, Strip #17: A Lot of Bingo. 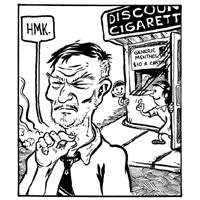 Strip Mall, Strip #18: Unfiltered. 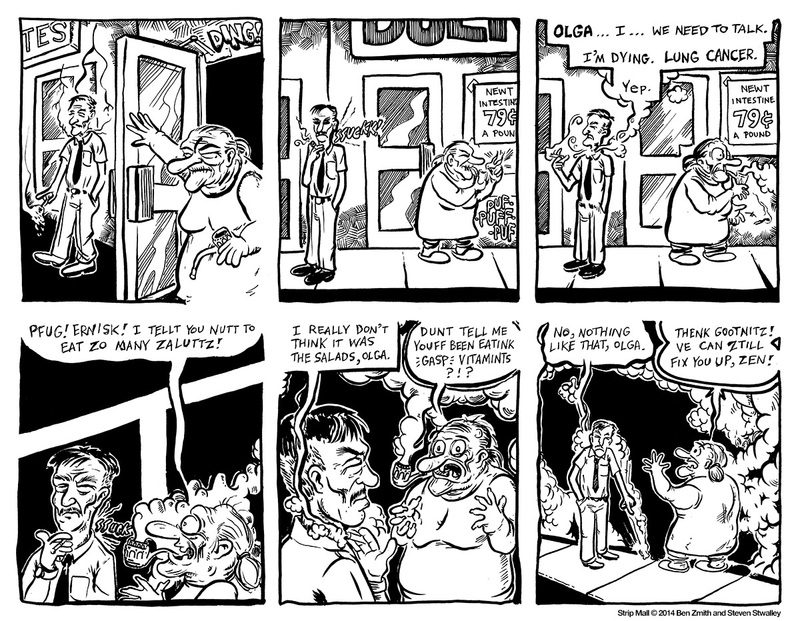 Strip Mall, Strip #19: Retirement Plan. 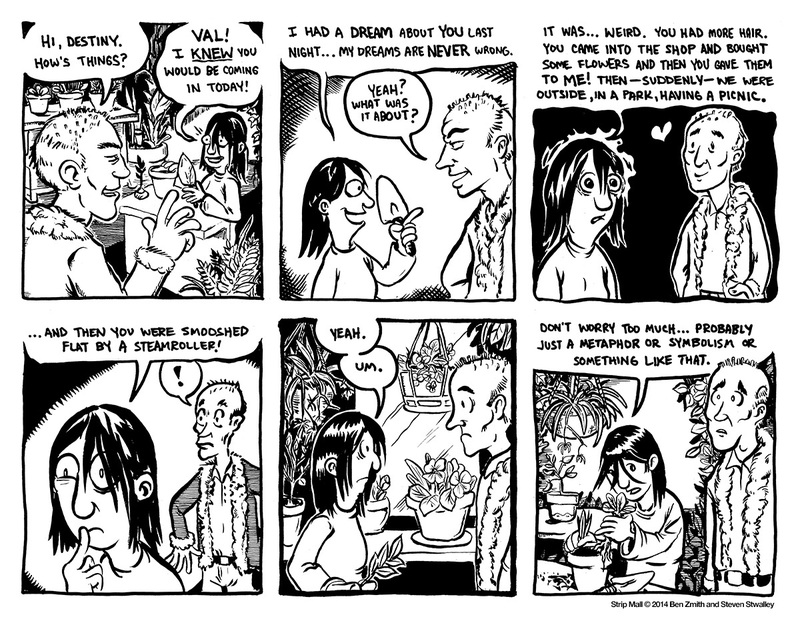 Strip Mall, Strip #20: Forbidden Love. 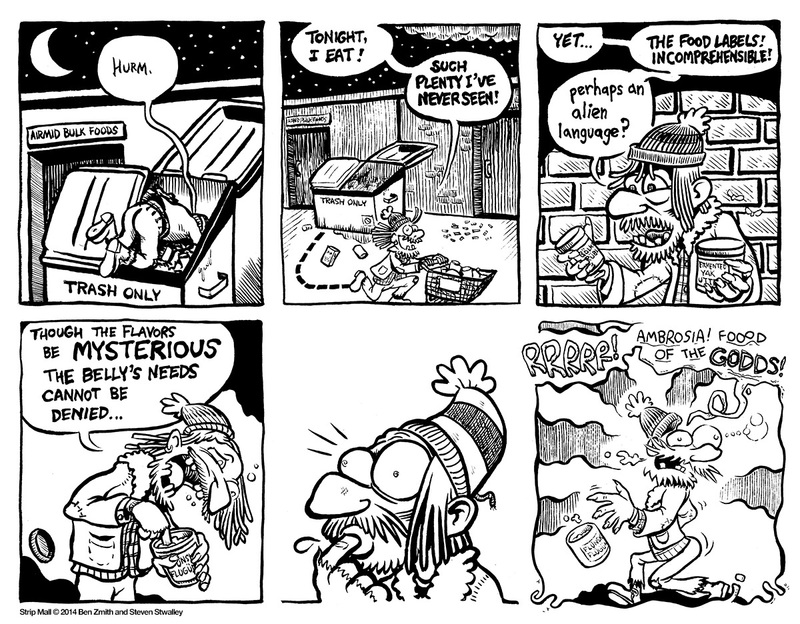 Strip Mall, Strip #21: Indigestion. 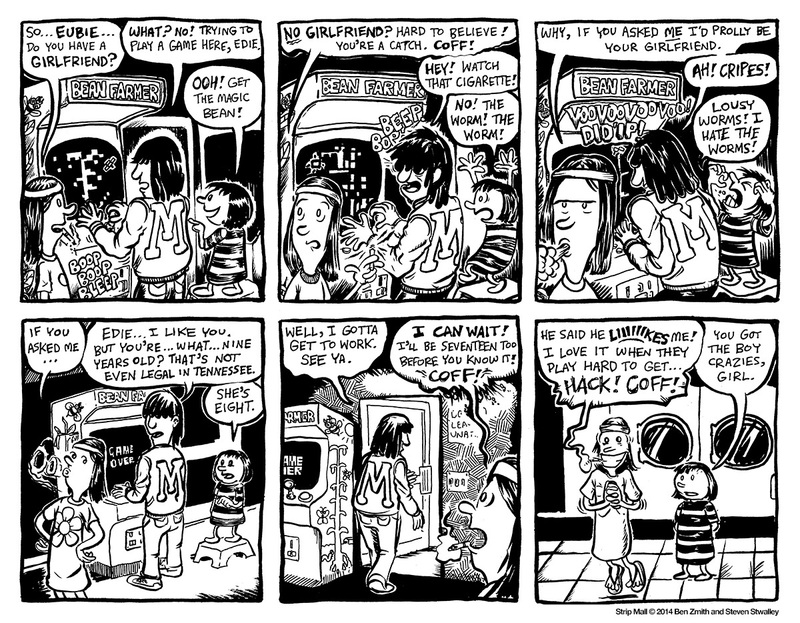 Strip Mall, Strip #22: Love Mourned. 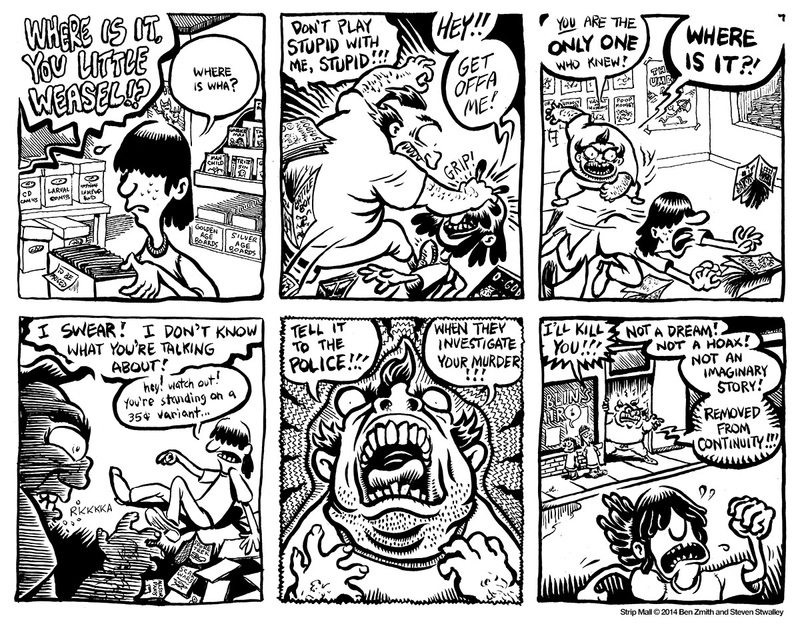 Strip Mall, Strip #23: Destruction of the Innocent. 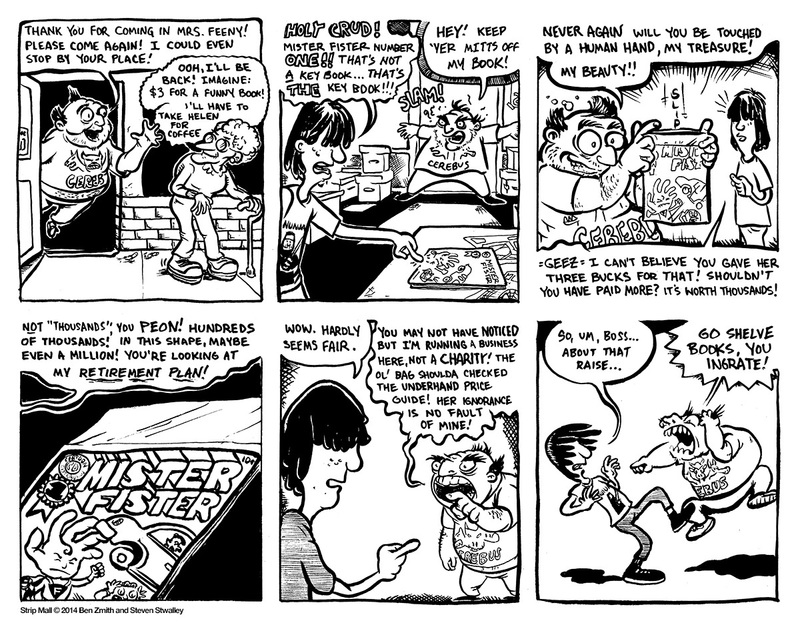 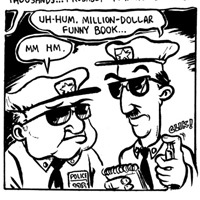 Strip Mall, Strip #24: Grand Theft Awful. 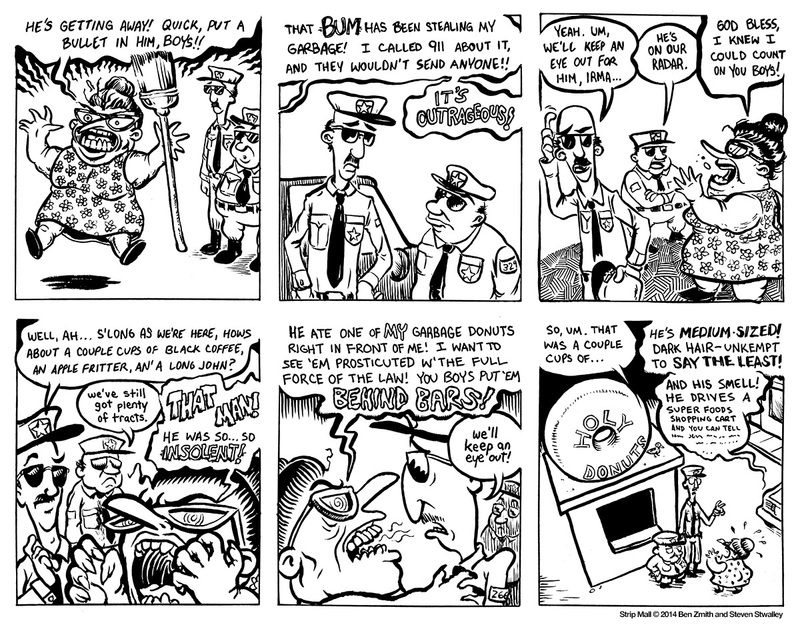 Strip Mall, Strip #25: Scene of a Crime. 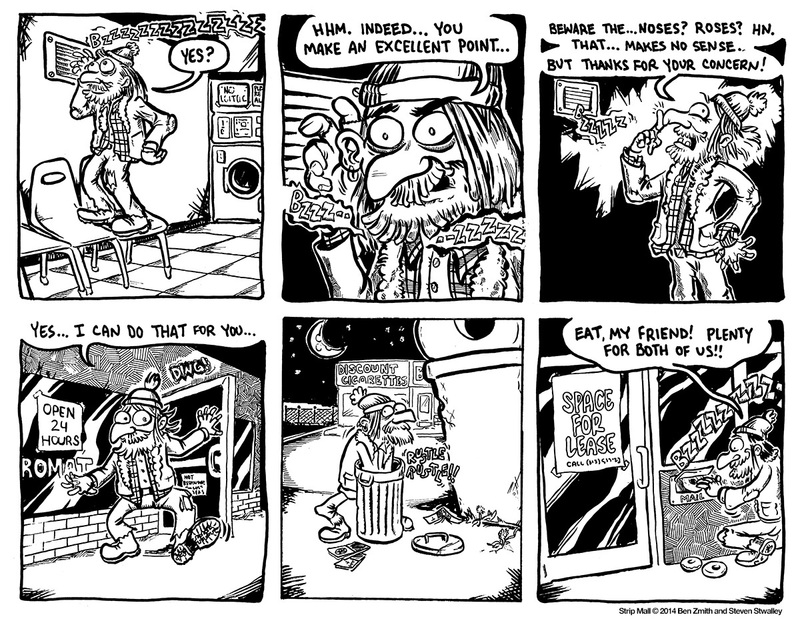 Strip Mall, Strip #26: Space for Lease. 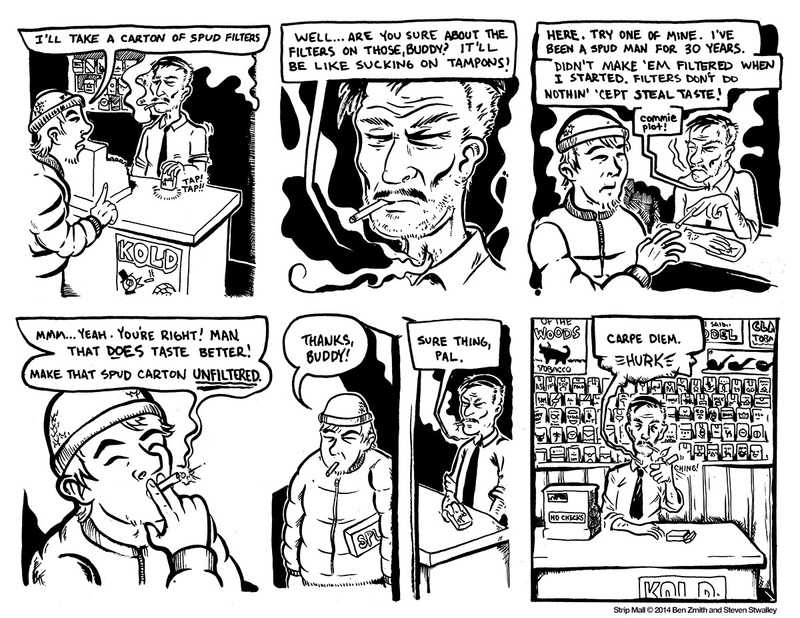 Strip Mall, Strip #27: Busy Night. 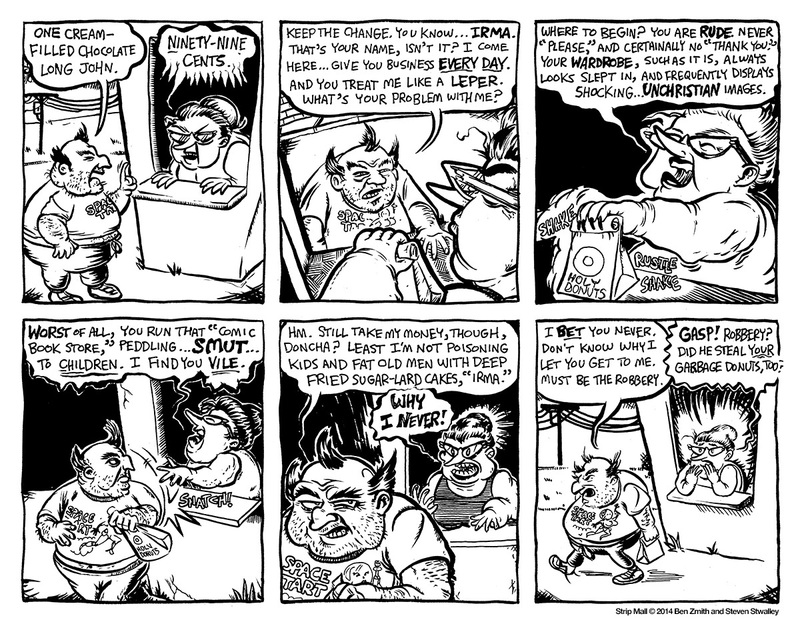 Strip Mall, Strip #28: A Rude Awakening. 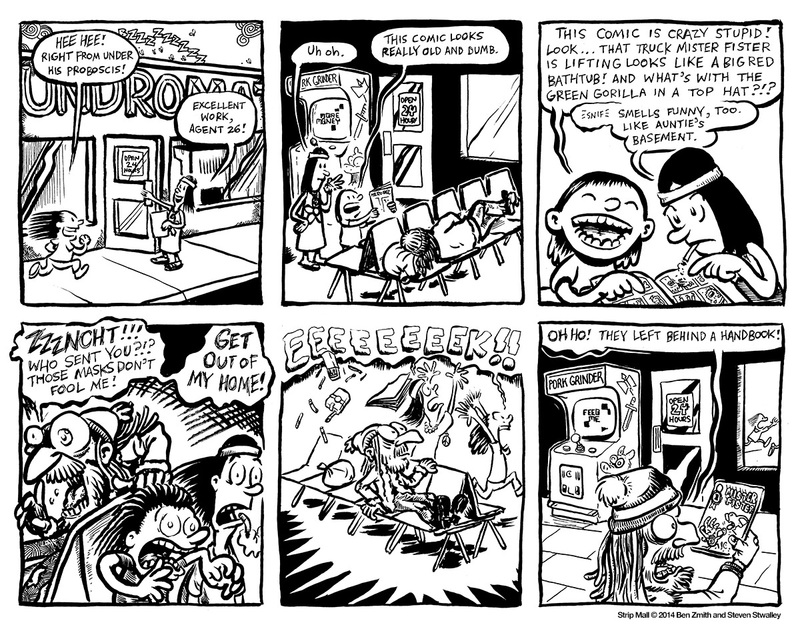 Strip Mall, Strip #29: Here Comes the Cavalry. 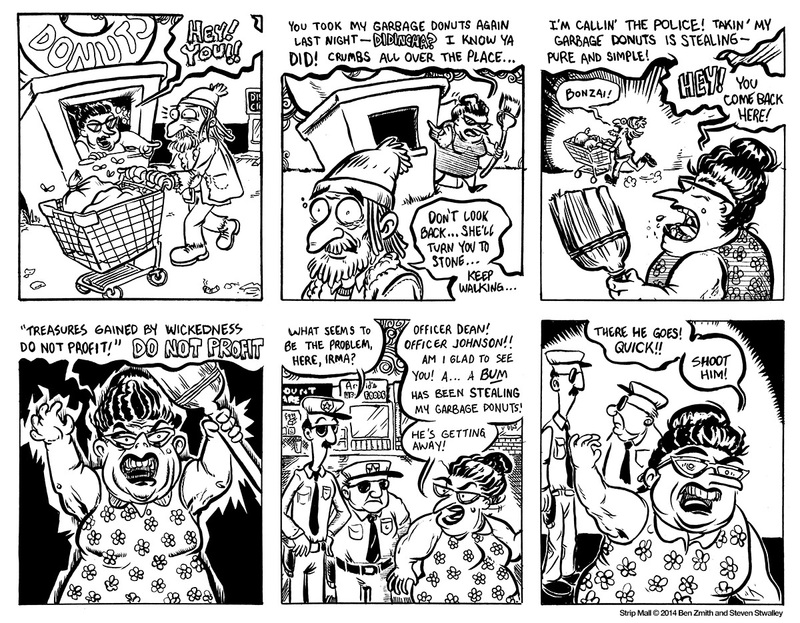 Strip Mall, Strip #30: ALL CAPITALS PUNISHMENT! 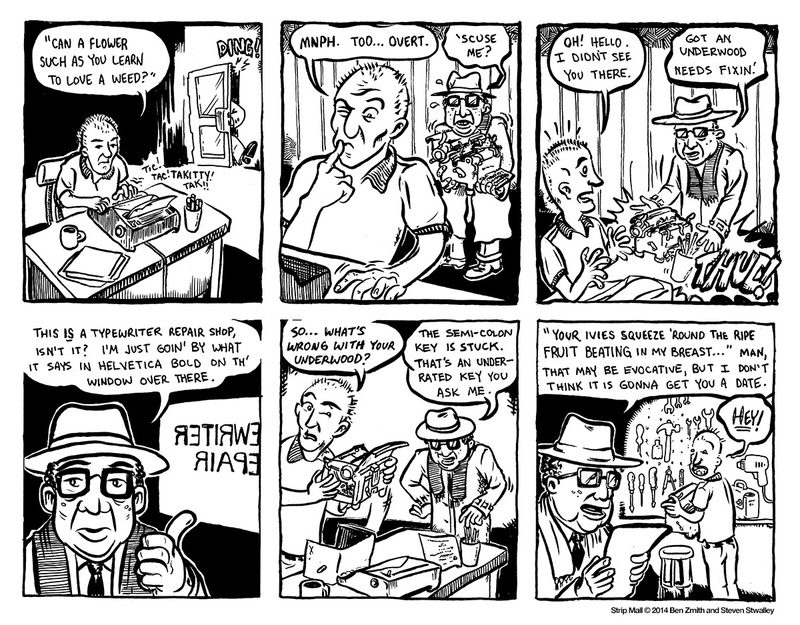 Strip Mall, Strip #31: Fresh No Goot For Flesh! 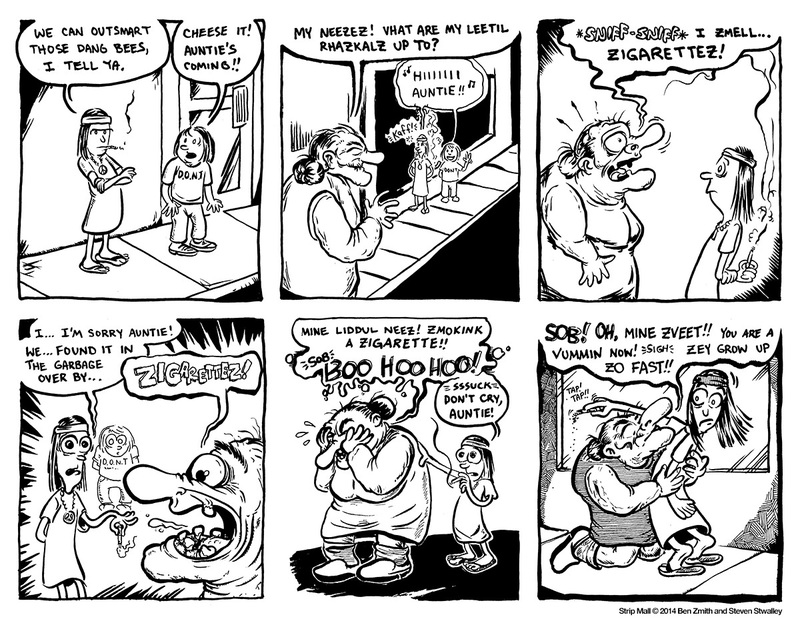 Strip Mall, Strip #32: Posy Poesy for the Nosy. 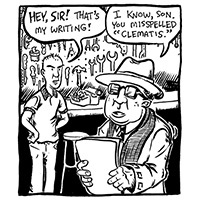 Strip Mall, Strip #33: Click Clack Click Clack Click Clack Ding! 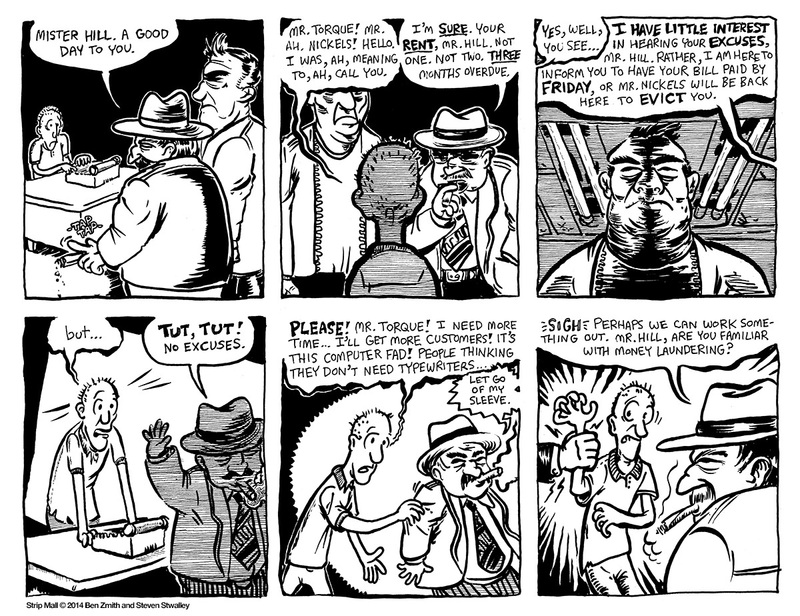 Strip Mall, Strip #34: Jammed Keys. 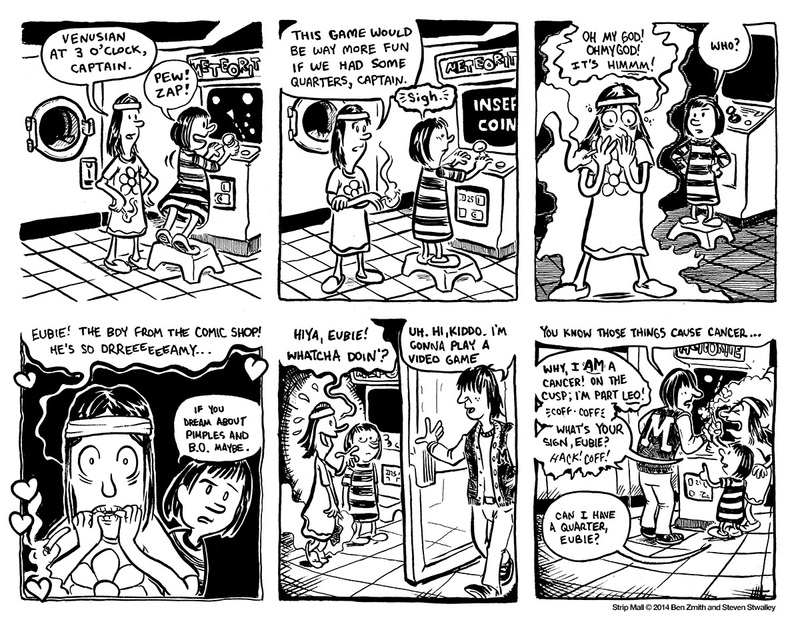 Strip Mall, Strip #35: Game Over. 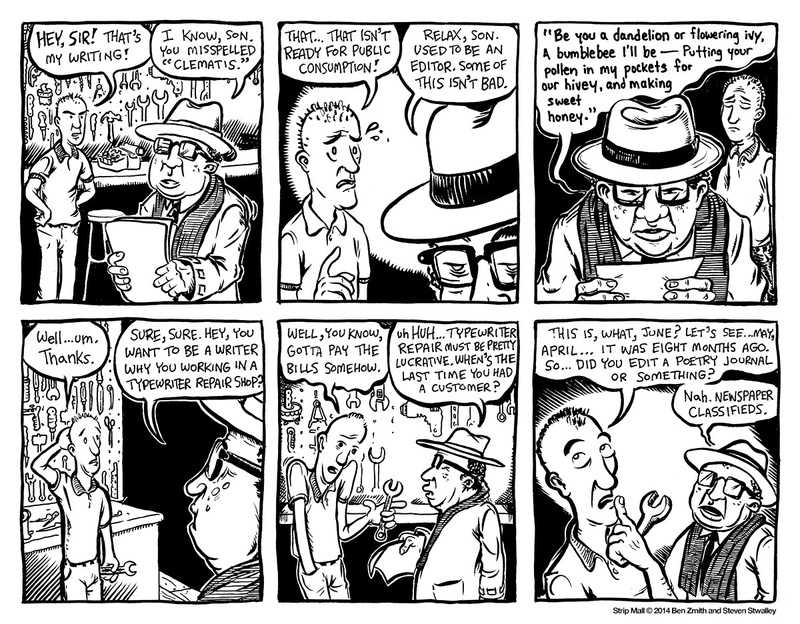 Strip Mall, Strip #36: Silent Partners. 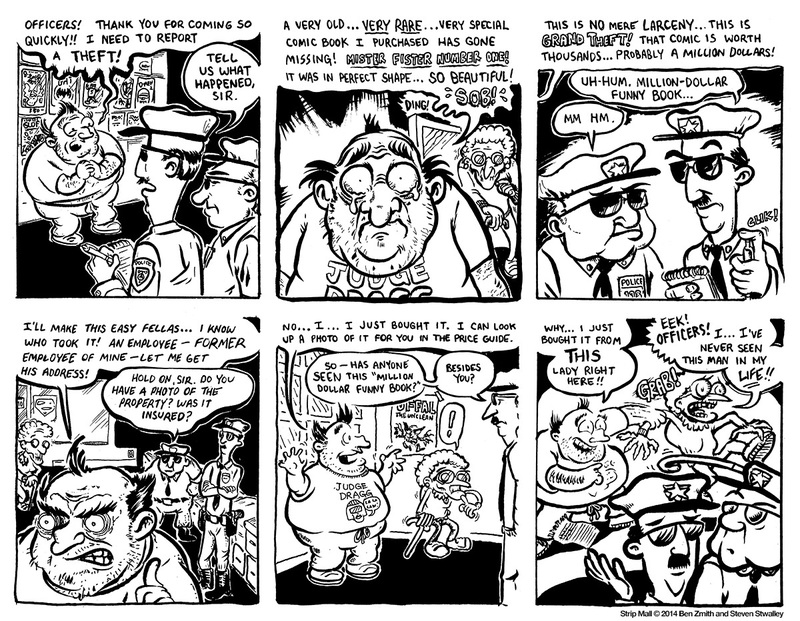 Strip Mall, Strip #37: First of the Month. 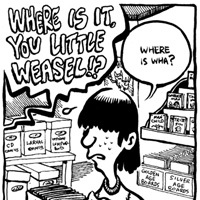 Strip Mall, Strip #38: Unfiltered. 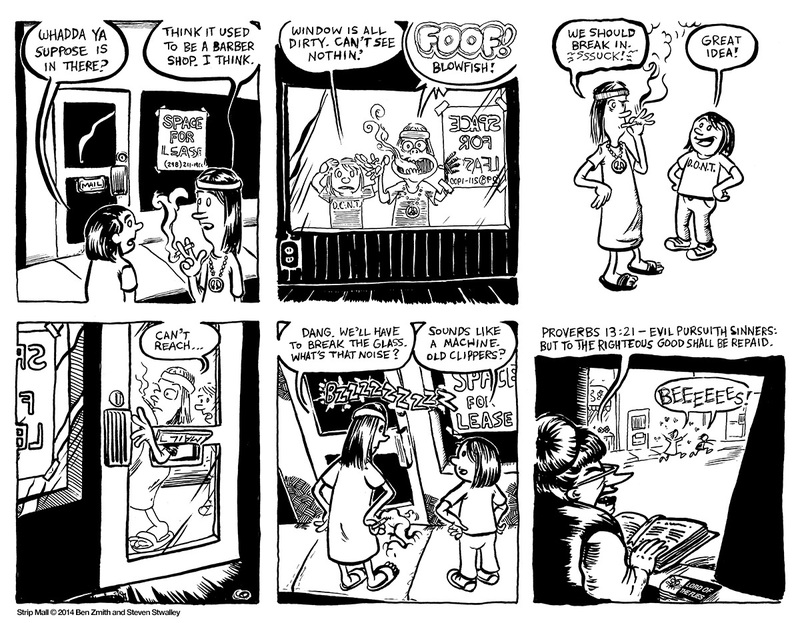 Strip Mall, Strip #39: Space for Lease. 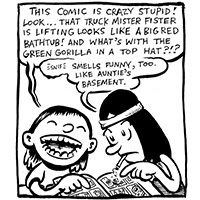 Strip Mall, Strip #40: Smoke Signals. 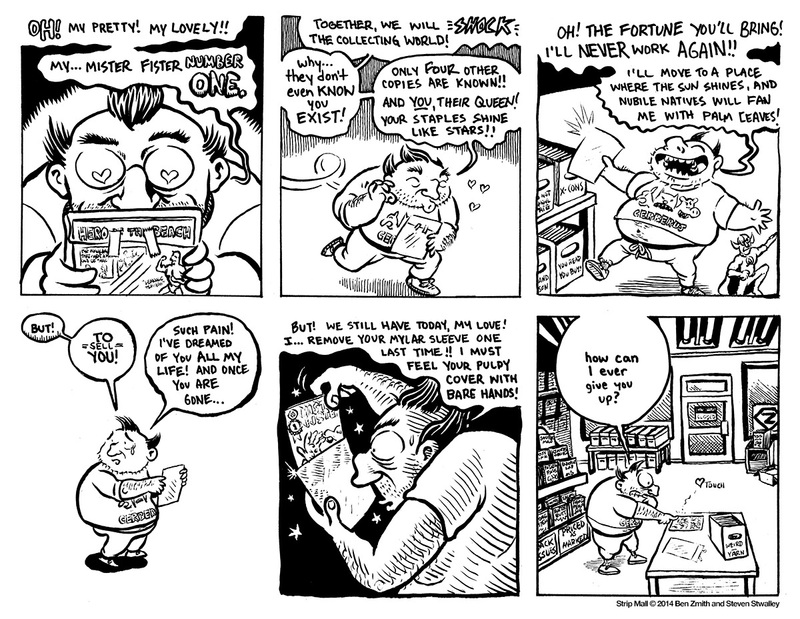 Strip Mall, Strip #41: Breath of Fire! 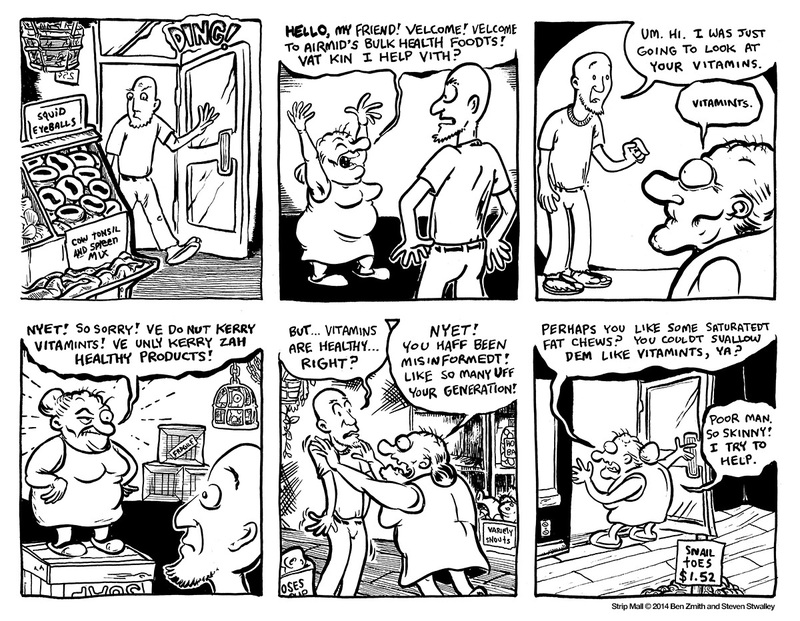 Strip Mall, Strip #42: Regular Customer. 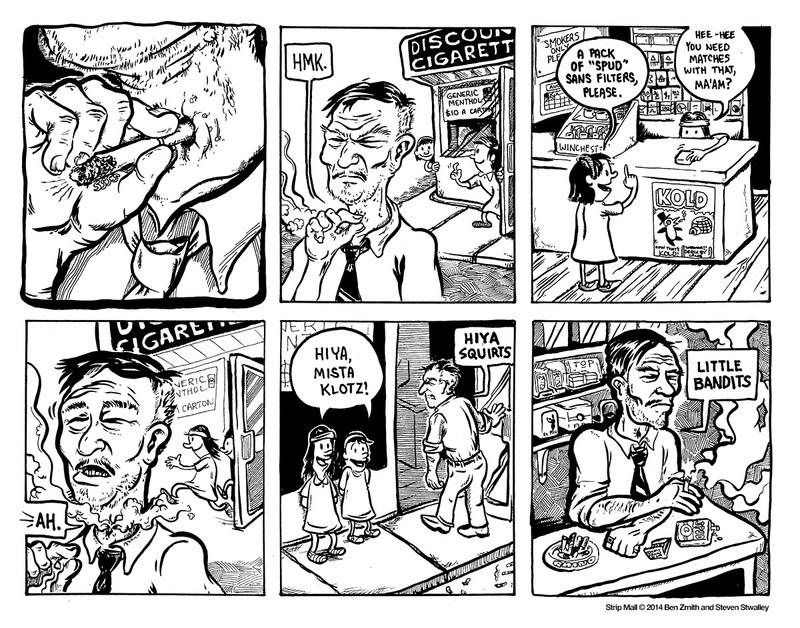 Strip Mall, Strip #43: Smoke Break. 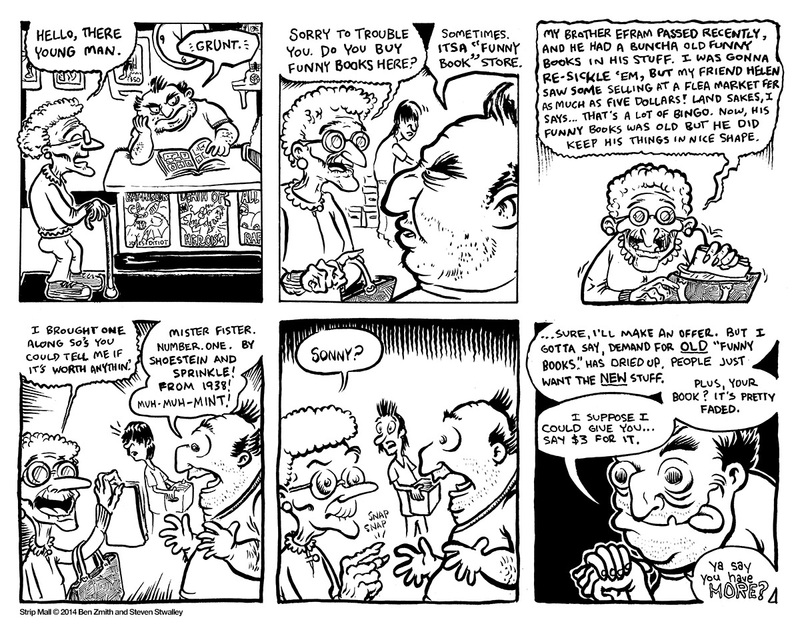 Strip Mall, Strip #44: Reunion. 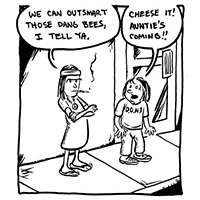 Strip Mall, Strip #45: Family Secrets. 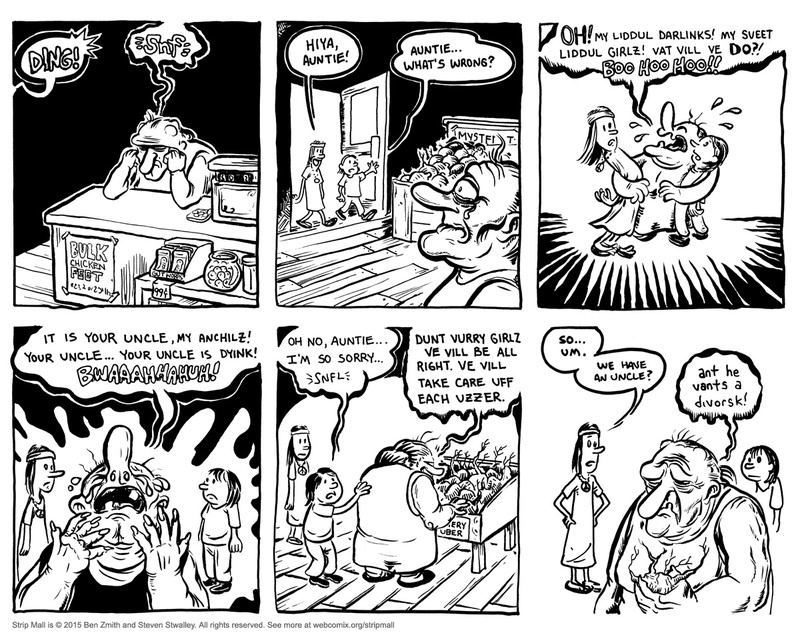 Strip Mall, Strip #46: Say Uncle. 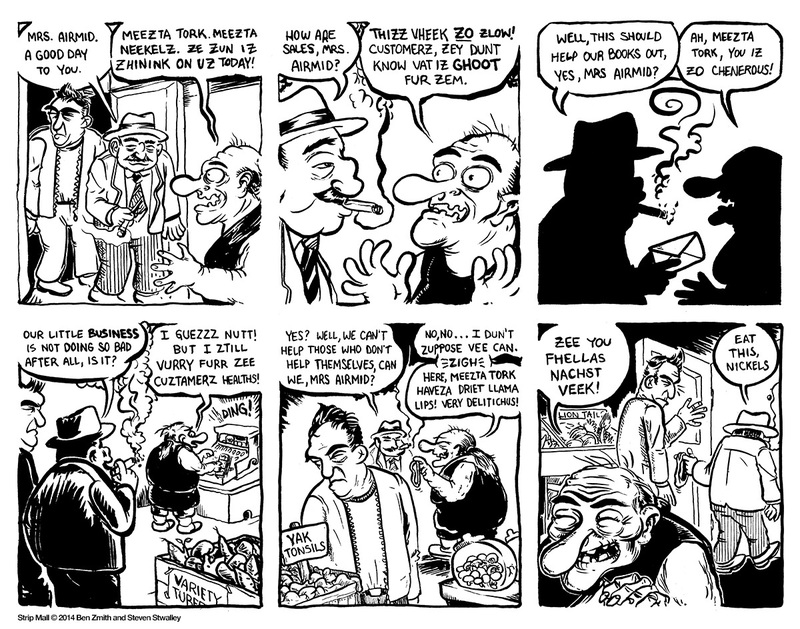 Strip Mall, Strip #47: Back Issues.